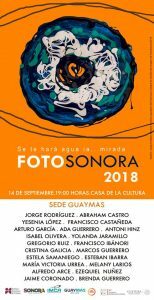 The Municipal Institute of Culture and Art of Guaymas (IMCA) and the Casa de la Cultura present FotoSonora 2018, a festival of photography, starting September 14, 2018. 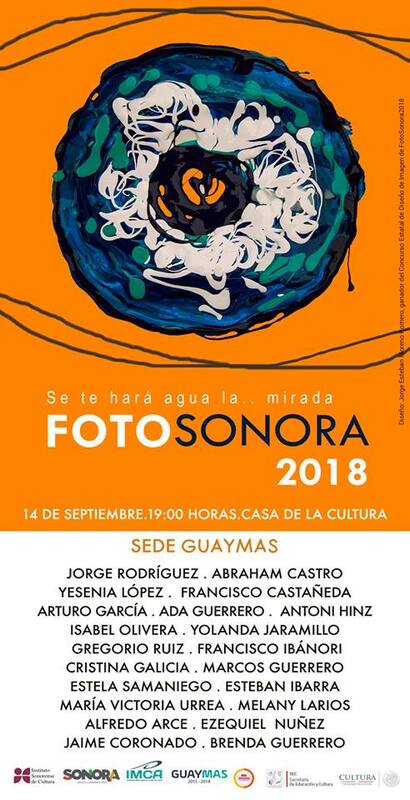 FotoSonora is a celebration of images in Sonora. It spreads the creative work of amateur photographers, professionals and students, through a network of exhibitions, workshops, conferences, screenings and related events. On Friday, September 14 the community is invited to the inauguration of the exhibition. Come and see the work of our talented local photographers including Abraham Castro, Francisco Castañeda and Marco Guerrero at 7:00pm in Casa de la Cultura. Hola. I am new to the Guaymas/San Carlos area. I’m an amateur photographer and was curious about how to submit my work for the 2019 show. Obviously I am too late for this year’s event.